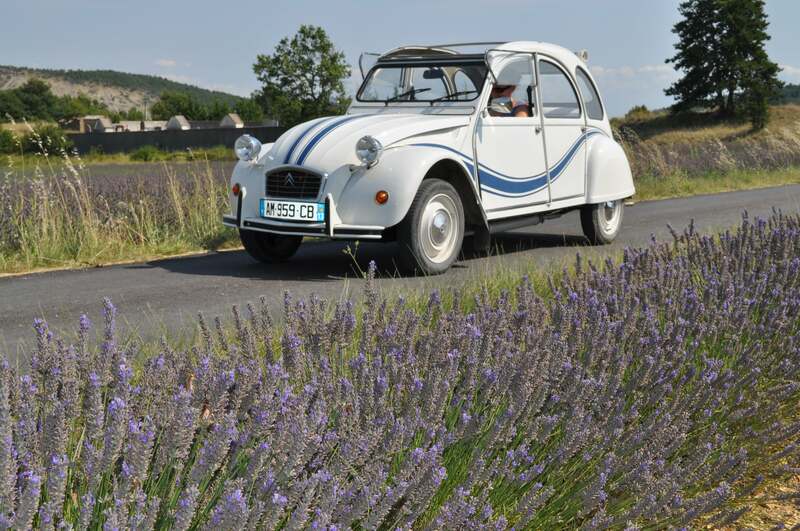 Explore the beautiful vineyards and villages surrounding Aix-en-Provence in a vintage 2CV Citroën in this truly unique wine tour. Afternoon: First, visit Abbaye de Silvacane, a former Cistercian monastery, located in the town of La Roque-d’Anthéron, which dates back to the 12th century. 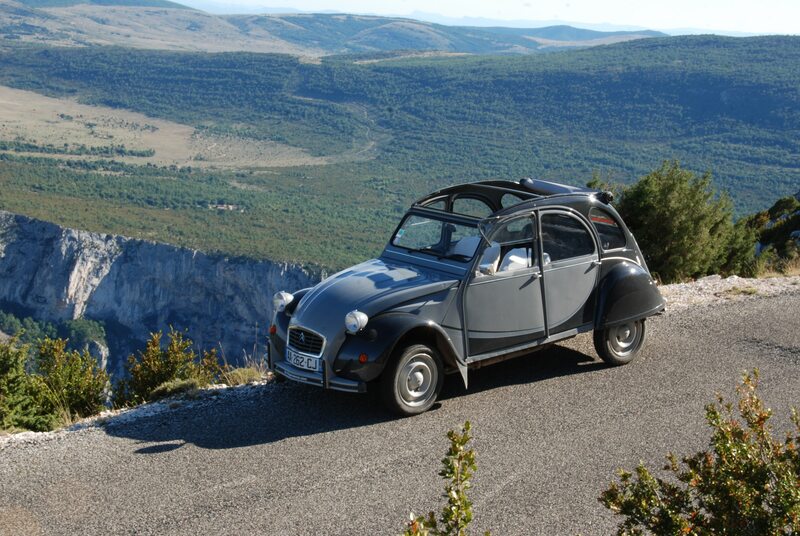 Next, drive to Cadenet, located on the southern slopes of Luberon Massif , overlooking the valley of the Durance. Cadenet is the birthplace of famous André Estienne, the boy who played the drum for the for the fourth regiment of grenadiers during the battle of the bridge of Arcole. After a long day of exploring, you will arrive at the hotel Domaine de Fontenille where you will be treated to a massage at the Domaine de Fontenille spa. Dine at La Cuisine d’Amélie, located in the southern terraces of the country house at the hotel. The cuisine is both simple and elegant, centered around the products of the Lauris region. 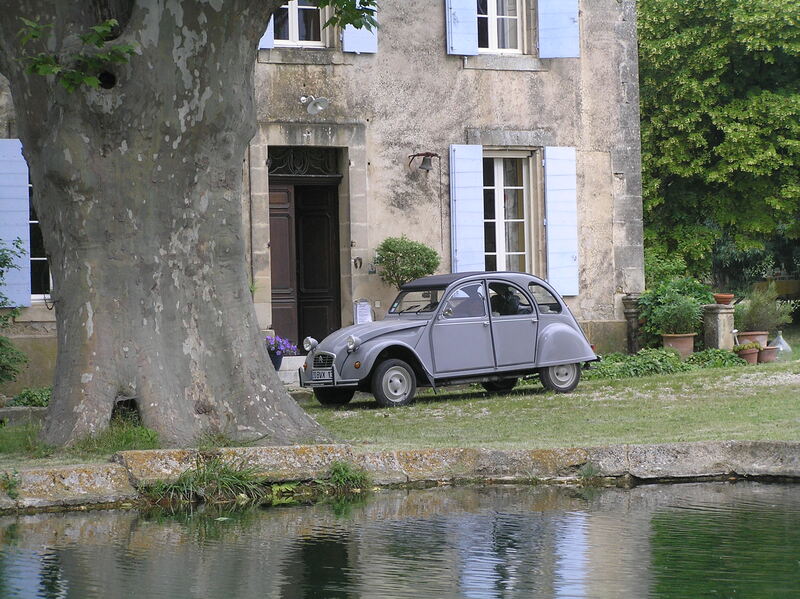 Morning: Drive from the village of Bonnieux to the Château la Canorgue vineyard (which appears in the film A Good Year with Russell Crowe and Marion Cotillard). There, enjoy a tasting of fragrant wines. 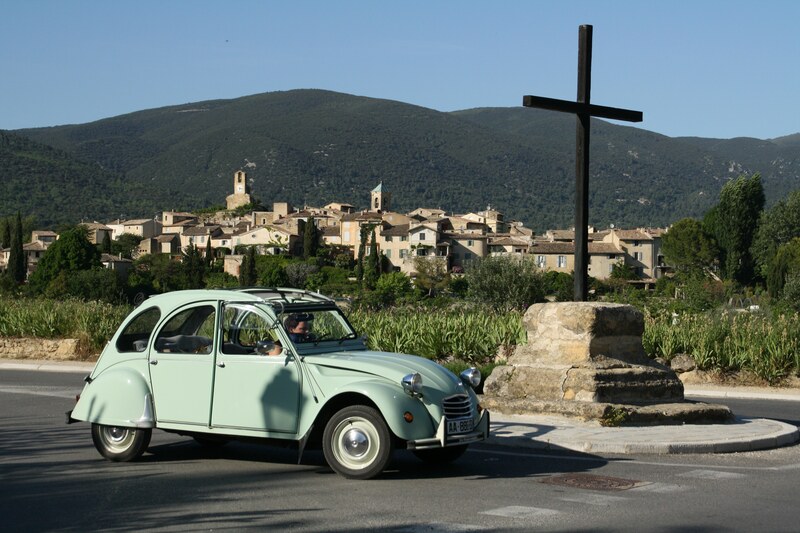 Following the tasting, explore the village of Lacoste located in the Vaucluse, in the Provence-Côte-d’Azur. Afternoon: Enjoy the truffles and wines of the Luberon region at the Maison de la Truffe, located in the city of Ménerbes. Take in the scenic view from the beautiful hilltop village of Gordes. This village inspired some of the best artists, including André Lhote & Marc Chagall. If desired, you may drive to the Sénanque Abbey, built to house a community of impoverished monks, under the patronage of the bishop of Cavaillon. 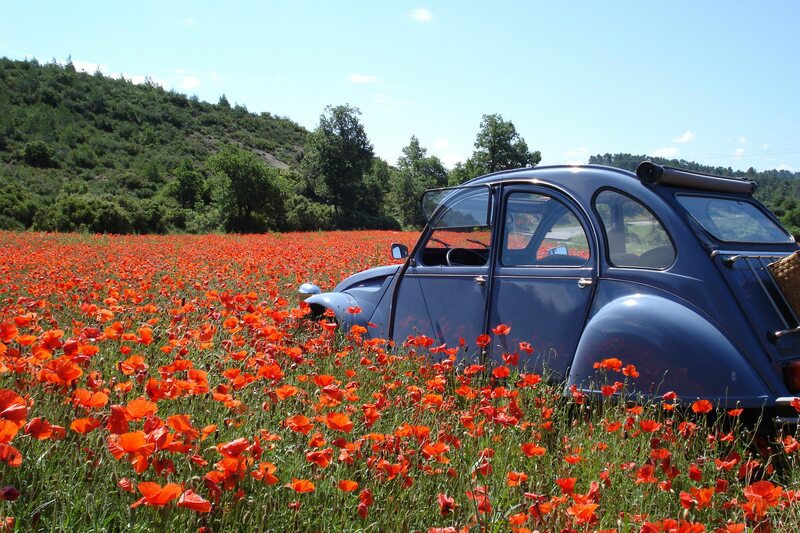 Finish your vintage tour in the village of Roussillon, one of the most beautiful villages in France. We recommend that you follow the ocher trail to the “Chaussée des giants” in the fairy chimneys. 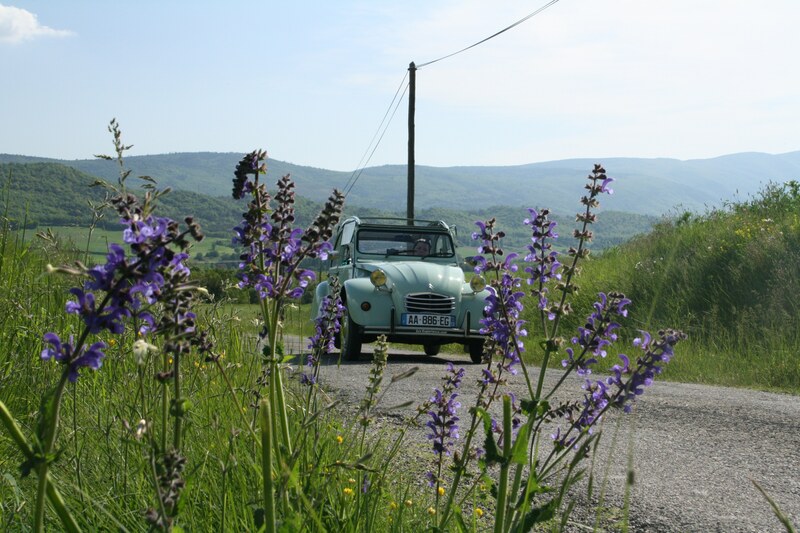 Included: One night stay in Domaine de Fontenille, including breakfast and a relaxing 50mn massage; dinner at the restaurant d’Amélie in Domaine de Fontenille; lunch at La Fenière and Maison de la Truffe; and the cost of the vintage car rental. Not included: Airport/railway station pick-up/drop-off, personal guide, all personal expenses.